I love Greek food, so I was pretty happy to get my paws on Ikaria . 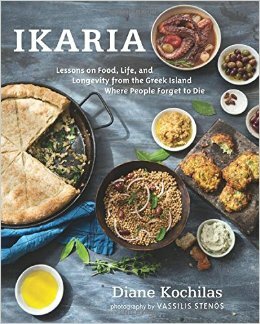 The book's tagline is "Lessons of Food, Life and Longevity from the Greek Island Where People Forget to Die." But we don't need to mention that every time, do we? 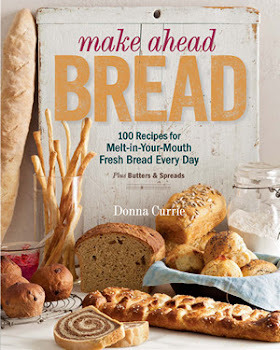 On first glance, I thought it might be a difficult book to cook from. Every recipe on my short list seemed to include an ingredient I didn't think I'd find. For example, a salad that looked interesting included pickled sea fennel. But on second glance, it suggested that pickled watercress or capers could be used instead. Well, that's easy. I have a bit of a caper fetish, so I always have those on hand. And maybe a backup jar in the pantry. As I took my second and third browse through the book, I saw that pretty much every unusual ingredient had a suggested substitution, which made the book much more accessible. The seafood section would still be a challenge for me, since many of the types of fish used aren't available here, and certainly not fresh or whole. But that's a small thing. And really, the same techniques and flavors could be used with other types of fish. It wouldn't be the same, but it would be close. Or, as close as someone in a land-locked mid-country state could manage. After a third look, I decided the recipes were very accessible, and went right back to the salad. After stuffing my way through Thanksgiving, I really wanted something less ... Thankgiving-y. 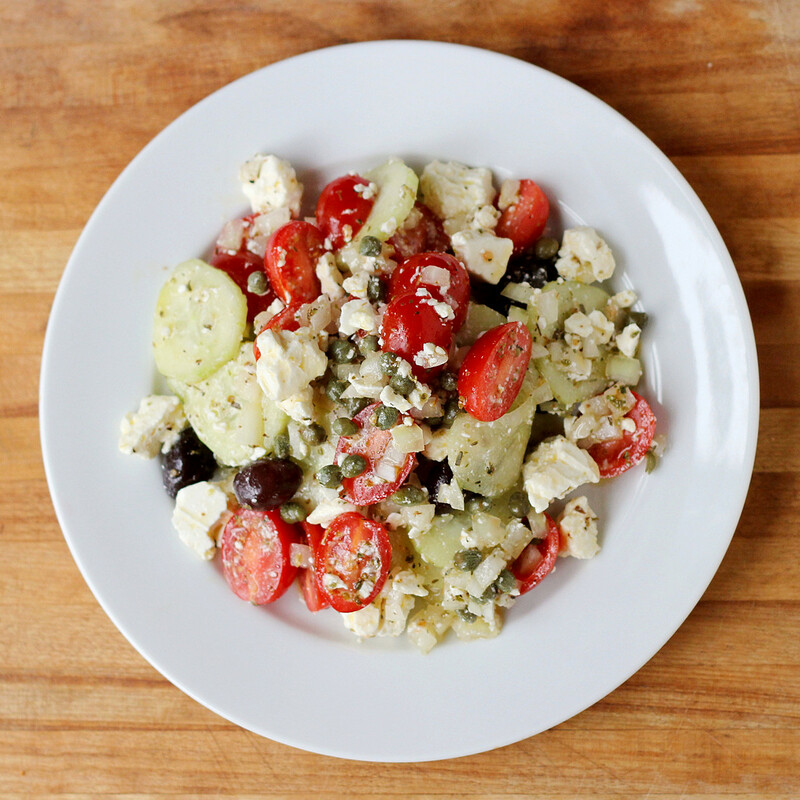 I've loved Greek salads from the moment I met the very first one. I was in high school and it was my first taste of feta cheese. Which was also my first taste of that sort of fresh, crumbly cheese. I didn't love it at first, but after a few tries, I realized it was essential for the salad. And a little while later, I did fall in love with it. Even more, I loved sopping up the leftover oil and vinegar in the bottom of the bowl with a chunk of crusty bread. So when I saw the Greek Salad recipe in Ikaria, I figured it would be fun to try. What I found most interesting was that there was no vinegar. No lemon. No acid at all, except the tomatoes. I wasn't sure how it would work, but I was committed to trying it because I bought the feta. The recipe calls for "meaty, fleshy tomatoes in season, cut into wedges" but in late November, my choices were pretty slim. I picked up some plum tomatoes and cut them in half. I had to do some estimating to figure out how many little tomatoes equaled one large tomato, but it's salad, not cake. A little more or less shouldn't be a big deal. I was really surprised how much I liked the salad. I'm used to making really tart dressings, but this was really great. It didn't need the lemon and vinegar that I had poised to add to the salad. Put it all in a bowl toss, and serve.